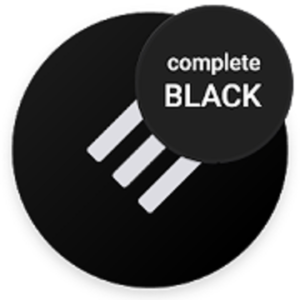 Boost your stock rooted ROM with this pitch black theme for the Substratum theme engine. It fully supports Android 6, 7.0 and 7.1 / Google Pixel / OxygenOS 4 / LineageOS / OMS + it works without TBO Theme ready gapps! Please read the description below before using the theme. • GBOARD INFORMATION: It’s not possible to theme the latest Gboard version. But you can make it look just like before by setting a custom keyboard background image that matches the Swift Dark background color, which is #202026. We uploaded an image and you’ll find the link in the FAQ. • NOTICE FOR NEXUS & PIXEL USERS: After updating to the April firmware version you might experience issues applying the theme. In some cases it takes a very long time installing the overlays or applying the overlays have no effect. A common fix is to re-flash the vendor.img in fastboot. If the issue persist try the following: clear Substratum app data and reboot, before trying again. • Installing / updating theme: The theme is stable to use on ROMs with support for Substratum. The Substratum app on legacy devices is not yet perfectly stable though, and if you run in to problems when installing or updating the theme please try to fix this by clearing Substratum data, followed by a reboot. Don’t forget to grant all prompted permissions when opening the Substratum app the first time. If it’s still not fixed please contact me by email or Telegram for personal assistance. Any issue related to installation or updating is a Substratum app legacy issue, and not a theme issue, so I would appreciate if you don’t tell me about it in the review system but instead reach out to me personally. • Notice for 7.1.1 users: The Substratum app will display a warning message about using themes on a 7.1.1 device. You can ignore this warning when using this theme as it have full support for this version. You need the substratum theme engine app to apply the theme! The notification colors are partially set within the frameworks and it’s not possible to theme the frameworks in all Android versions. This is why the notifications are white on some ROMs. You can read more about this in the FAQs. 19.5 – Reboot after applying, and If you use rootless Oreo and March security patch or higher you need to follow the instructions in the dialog that shows when you open the theme inside Subs. • Updated theme for latest version of Instagram, Discord and other fixes! Please read the FAQs and Play Store description for info & troubleshooting.